Free Bets are awarded through various promotions and marketing campaigns. To find out if you can win Free Bets with any of our current offers, please visit the Promotions section of our Sports website. To check if you have any available Free Bets, visit the Sports section of your Stars Account and on the right side of the screen check your Free Bets tab, in the same area where you see the Bet Slip and Open Bets tabs. 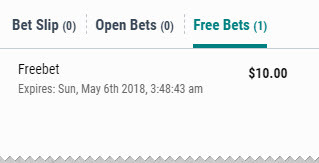 If you have any Free Bets available, a number will appear next to the Free Bets tab header, for example (1) indicates you have one Free Bet. 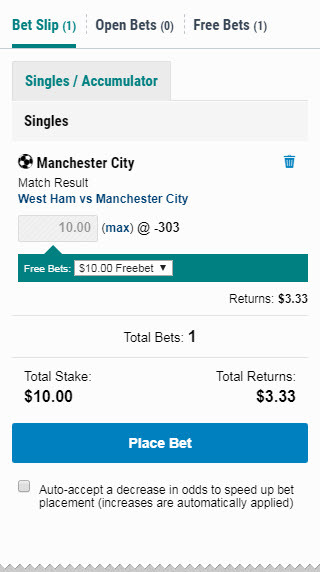 Go here to see the details of each individual Free Bet. 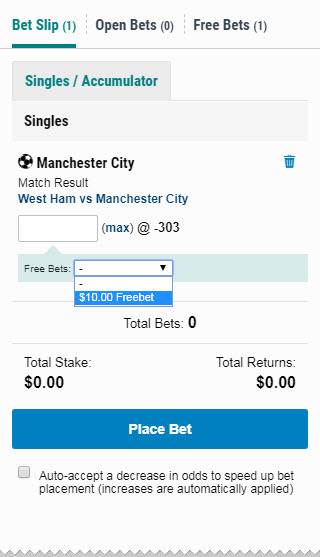 To use a Free Bet, choose the wager you would like to place, and if the wager type allows for a Free Bet to be used you will be able to select the Free Bet from the drop-down menu within the Bet Slip. Then, simply go to 'Place Bet' and your wager will be placed.